I have always admired the Skinny Taste blog. 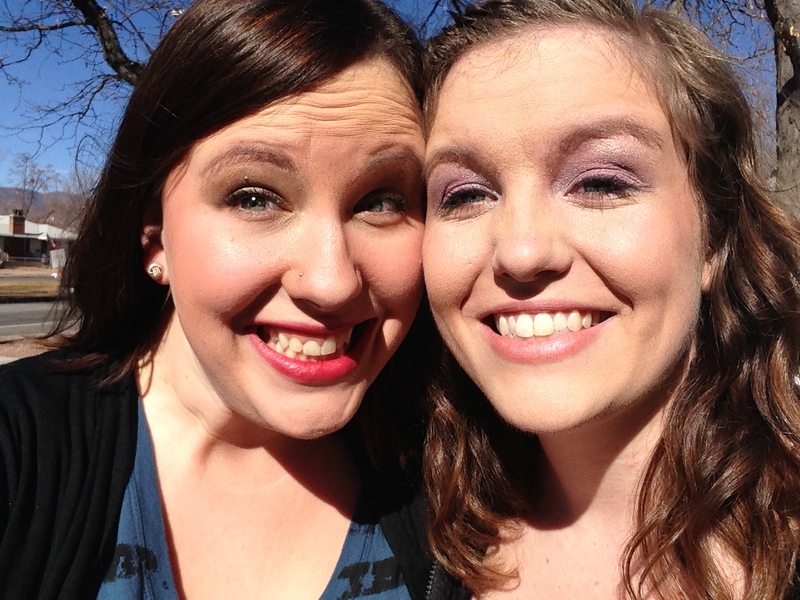 This girl is great. She does a new recipe a day. She takes things people love and alters them slightly to make it a wee bit healthier… and then reports basically all nutrition information. It’s a great idea. And if you subscribe to her blog – you get a new recipe in your inbox every day. A clever way to discover meals that you’d never consider making! Poor dented little crock pot. You guys. This chicken was the bomb.com. I used it the entire rest of the week on salads and in random other things. So good. This recipe I absolutely suggest! But the chicken wraps themself don’t make for a very glamorous dinner. So I added the baked pickles. Here’s the thing, I LOVE fried pickles. I’m not sure whoever thought – yeah let’s take this salty semi-tangy thing, bread it and then FRY it. But I like that person. That person deserves a gold star. High five dude. Place pickles to drain on paper towels (you’re going to need a lot of paper towels). Mix crumbs and flour together along with paprika, parsley, and half the chipotle powder and salt. Whisk eggs and egg whites in a bowl and season with remaining chipotle powder. Dip pickles in egg mixture and then into the crumb mix, pressing down on the crumbs. So… so… many pickles. Pickles for days! P.s. These pickles = not good reheated. Just sayin. Heat oven to 450°F along with 2 baking sheets. 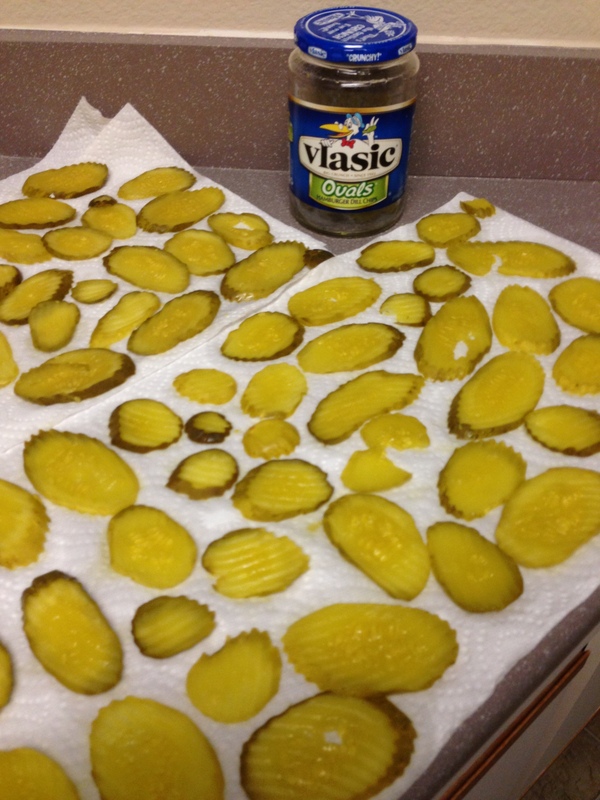 When the oven reaches 450°, remove baking sheets and spray with olive oil spray; place pickles on the baking sheets and spray the tops of the pickles with the more oil. Bake 8-10 minutes, turn and spray if needed and cook an additional five minutes. Remove pickles from cooking sheet and serve hot with ranch dip. Here’s the deal. The baked ones were good. 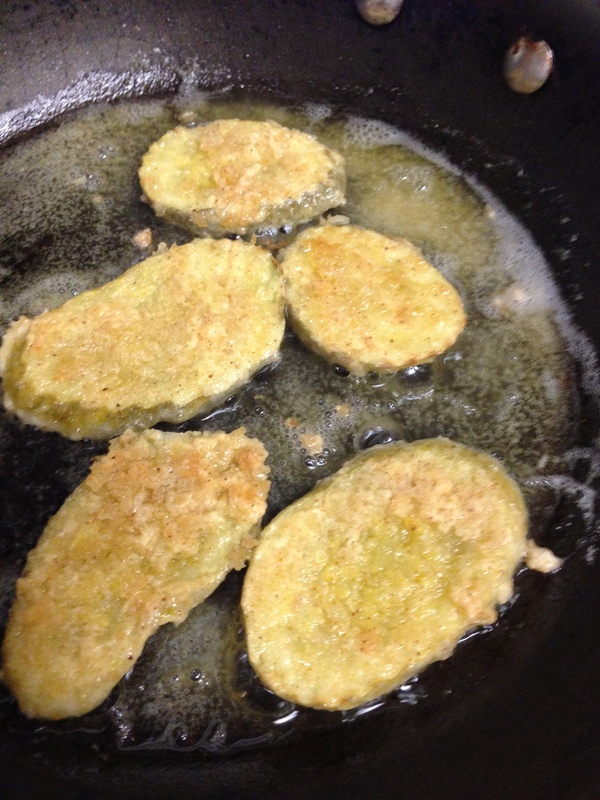 But someone in the kitchen (it wasn’t me I swear) started frying up some of those pickles. And boy oh boy were those tasty. Whoops. Where did that pan and all that oil come from?! Yum. To die for delicious. Overall, I liked every part of this, and I think the pickles would be a great dish for a big gathering. And the chicken will absolutely happen again as something to eat for lunches for the rest of the week. Yum. 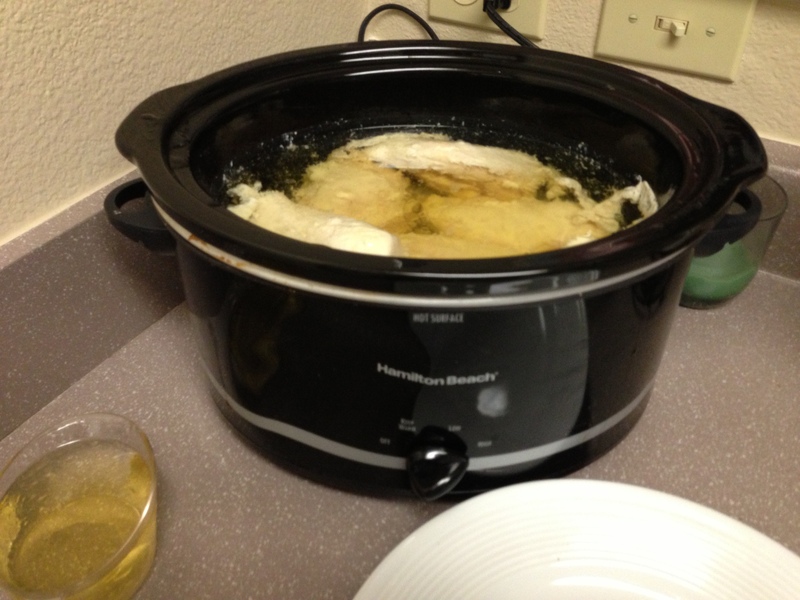 Thank goodness for that crock pot… and for Skinny Taste! Crock pot, Tupperware and clothes. That’s what everyone carries in their suitcase… right?! I bought a crock pot many moons ago and I rarely used the thing. It just sat in a cupboard getting dusty. Because what on earth would you use a crock pot for? It’s sad friends. But we all know it’s true. Here’s what I learned a couple of months ago. You can put something in the crock pot at the beginning of the day… and then you get home… and it’s just ready to eat. Genius. So smart. Well, when I moved, I left the crock pot in Lincoln. Not purposefully. I just wasn’t thinking about it. But now that I’m cooking up a storm, I was really craving that crock pot. 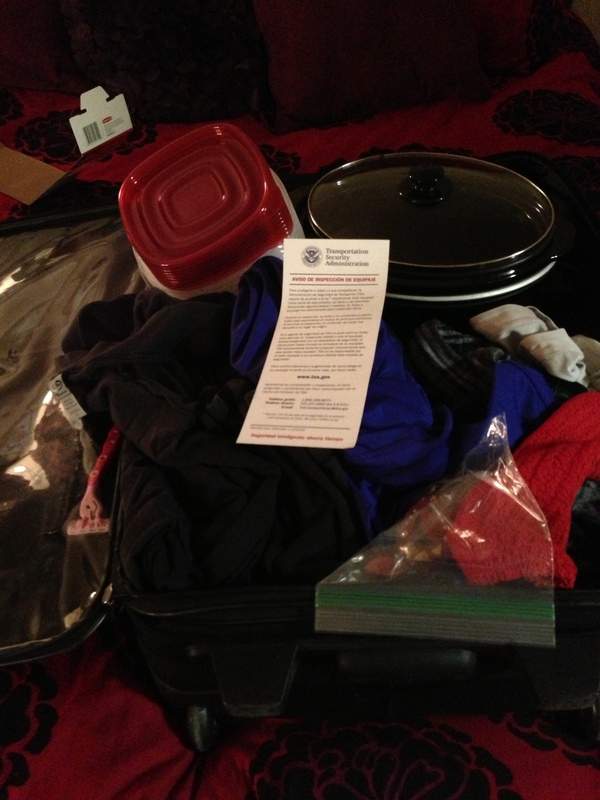 So my last trip home was a short weekend, but I decided to pack not too many things in a large suitcase, so that when I flew back – I’d have a room to put the crock pot in my suitcase. Man, how smart am I? This saved me from buying a new one – or paying someone to ship me my old one. This option was FREE! I got home and ended up with some broken Tupperware and a largely dented crock pot. Great news – it still gets hot – and there’s nothing wrong with the inner bowl. And did I mention… this option was FREE. I post a nice long rant about the DMV and disappear for a week. Man I’m fickle! I took a trip home this weekend. Saw my friends, my family, my special friend, a terribly depressing play and spent some qt with my “little ones” while hanging out and watching a high school basketball game. It was glorious. Plus, I accidentally spent an extra day in Lincoln due to some serious fog (think Sleepy Hollow style). Plus, I picked up my birth certificate, so watch out DMV, here I come! But as the post title suggests, I also got some cooking in. That’s right friends, I cooked on my vacation. Be scared. I’m a whole different person these days. 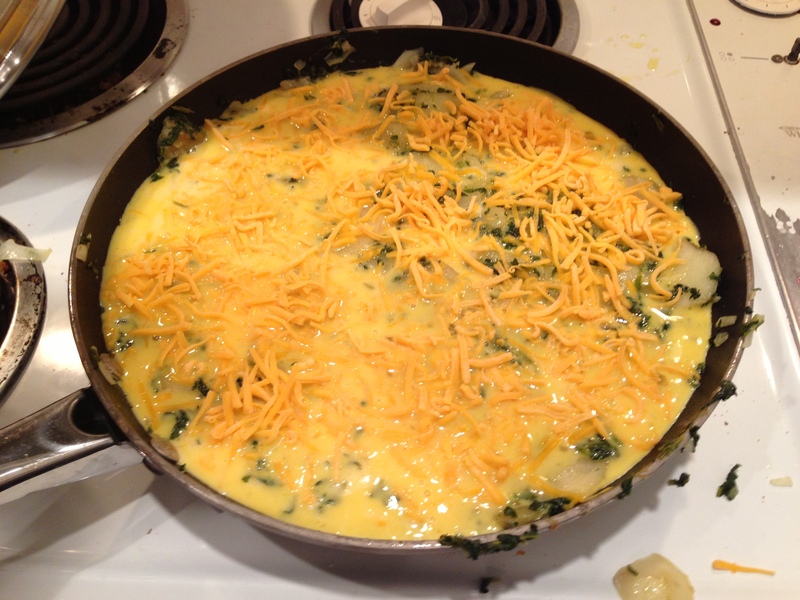 The family went to church, we came home and in discussing the various ingredients already in the fridge… we settled upon attempting my first frittata (thank you Pinterest). How cute is my mom? 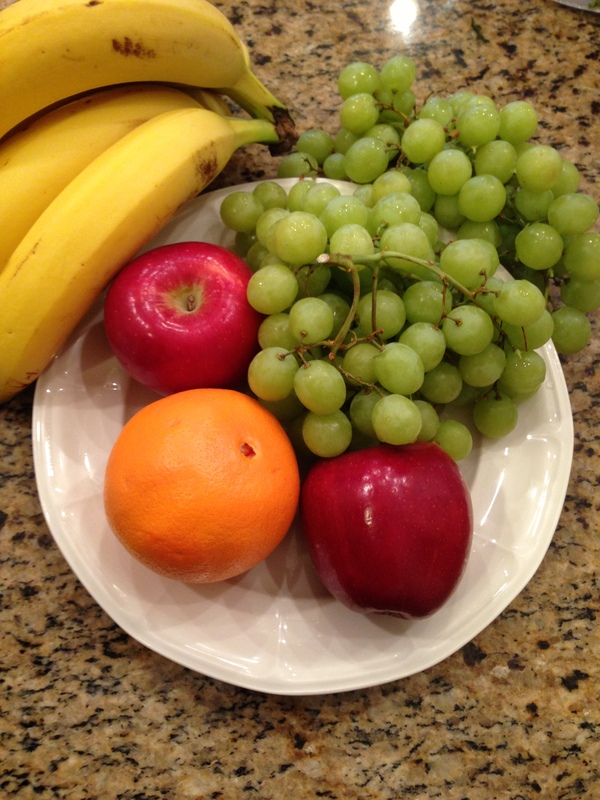 She wanted to set out fruit nicely as a pretty back drop for my blog photos. Love her. Place potatoes in a skillet with olive oil over medium heat for about 10 minutes cooking them until tender (but still somewhat firm). Stir in spinach, green onions, and garlic. Season with salt and pepper. Continue cooking 1 to 2 minutes, until spinach is wilted. 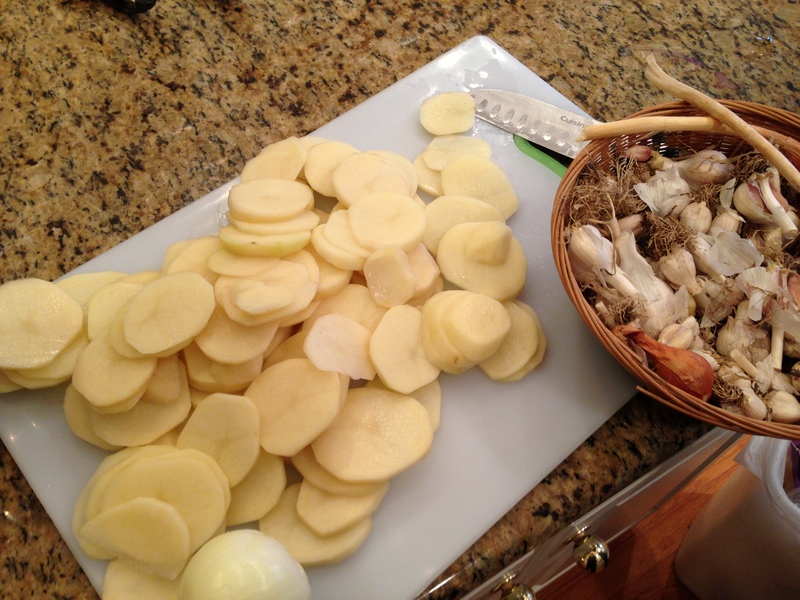 Slicing potatoes with a big girl knife makes the world of a difference… How close are we to my birthday… Sigh. *You can also add bacon, sausage, or any other kind of breakfast meat if you want. (Did you see that footnote at the bottom? I missed it. This would have been incredible with some salty bacon goodness in it. Instead – we had bacon as a side dish. 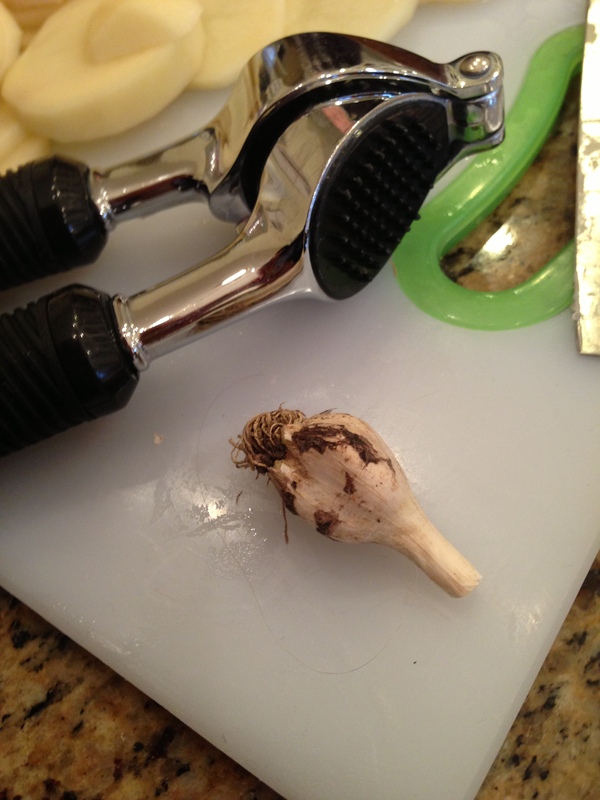 Also – it took much longer than 5-7 minutes to cook it in the end. But you’ll know it’s done when the eggs are nice and firm! ) Overall – this was quick – it was easy – and it was a PERFECT way to fairly quickly throw food into a LARGE skillet and tada! done! The best part? I feel like this is fairly customizable. Have tomatoes? Sure, throw them in. Leftover chicken? Why not. Some spices? Toss away. We’ve got a way to go until we’re absolutely caught up on blog posts. 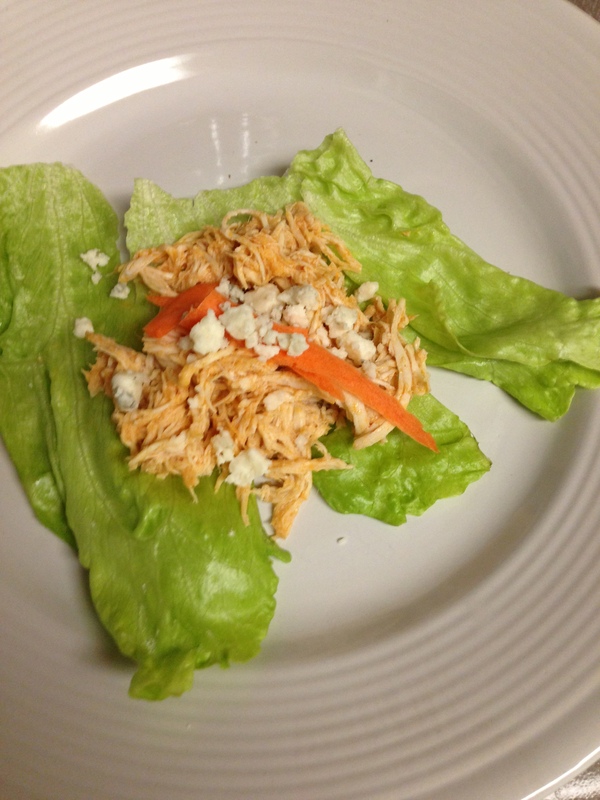 A story about a crock pot… a post about some buffalo chicken… and the follow-up on my January goals and setting goals for February. Maybe you’ll just get two posts today? Could you be so lucky?You might friends. You just might. Keep those little fingers crossed!